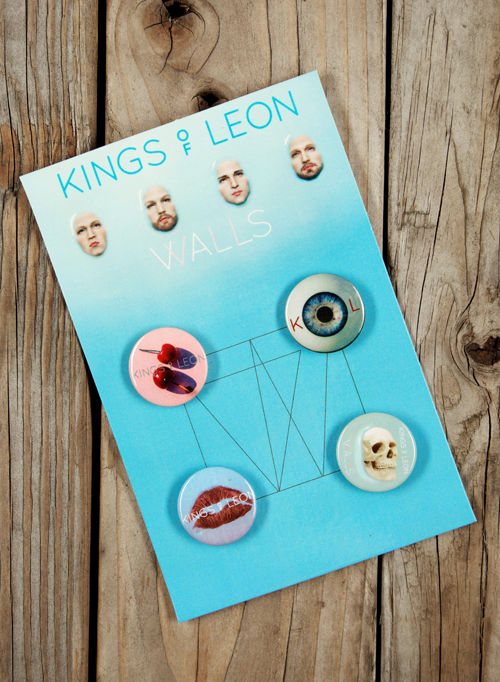 Kings of Leon's seventh studio album WALLS was released in October 2016 and is an acronym for We Are Like Love Songs, continuing the KoL tradition of five syllable album titles. This album includes fan favorites like Waste a Moment and Reverend, and now you can show your love for this record with a four-button pin set from RockAndRollTShirts.com. This button set includes four full-color buttons with striking designs including a double cherry, blue eye, red kiss and skull all secured on a Kings of Leon WALLS placard.